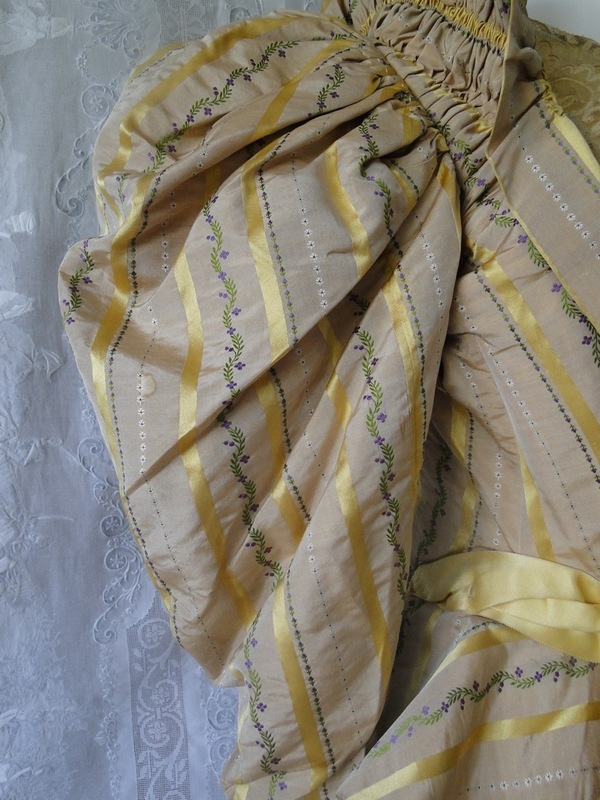 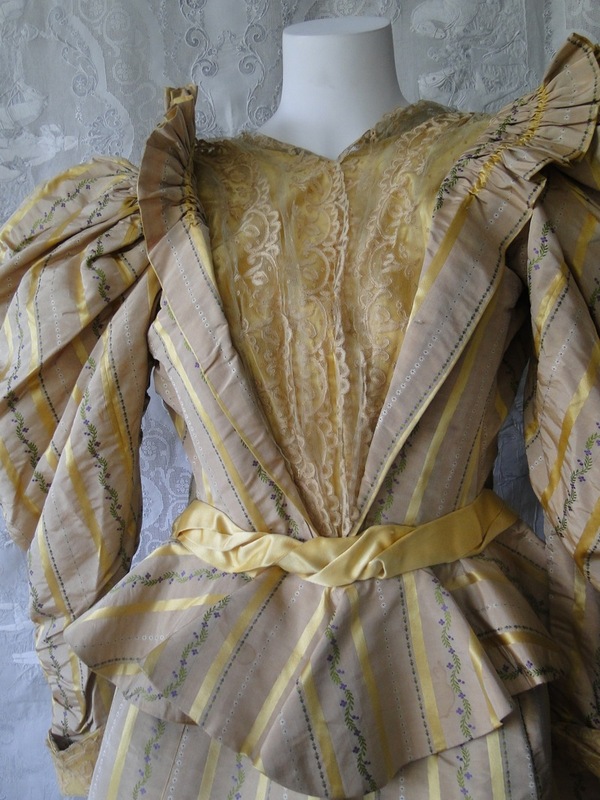 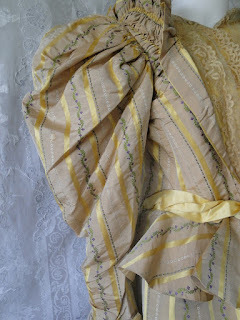 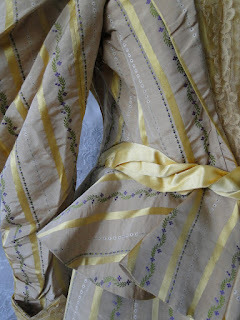 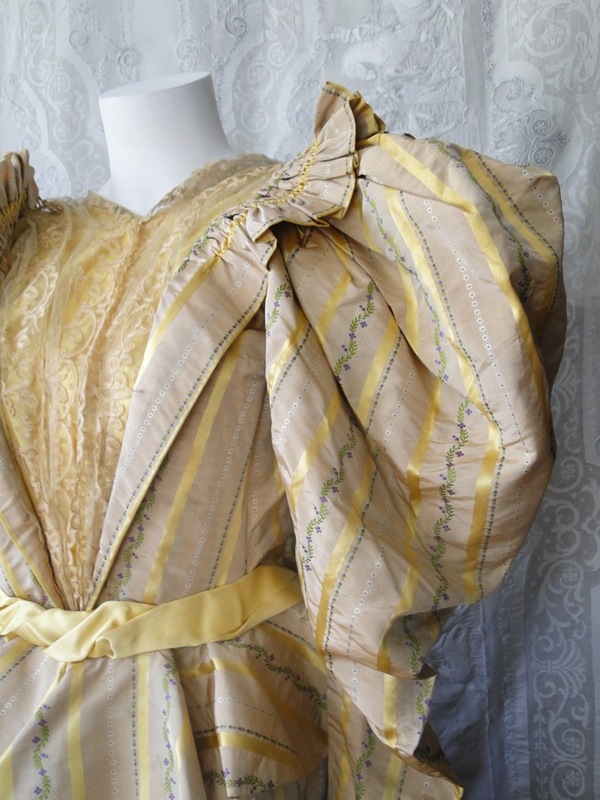 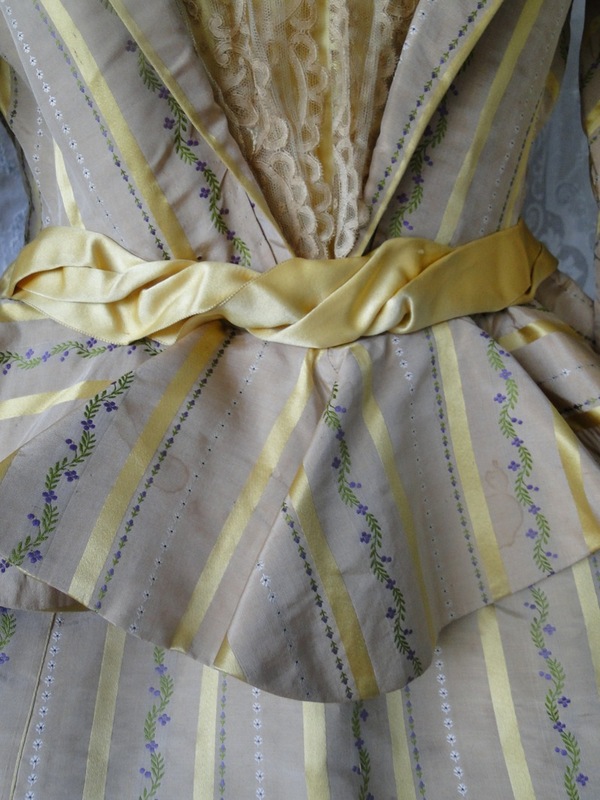 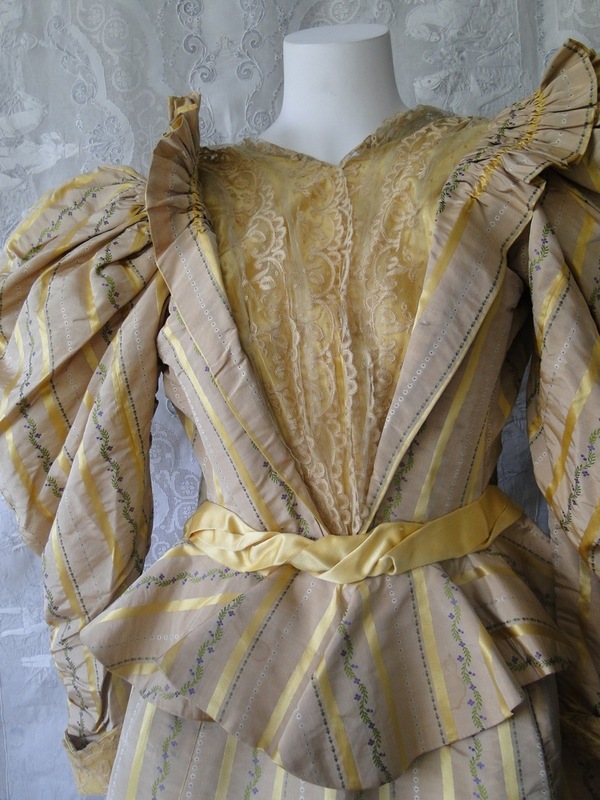 Circa 1890’s, a luminous two piece silk gown with golden yellow satin stripe and brocaded with a sepentine floral flower swag.The inset has a ivory lace and is flanked by ruffles and lace cuffs.There is a stiffened inner skirt gathered with fullness at the back of skirt. Length is 44”, waist 22",chest 33”. There are a few small scattered spots,minor,waistband is torn and there is minor hem soil.All minor…. In very good condition.All items we list need to be laundered. 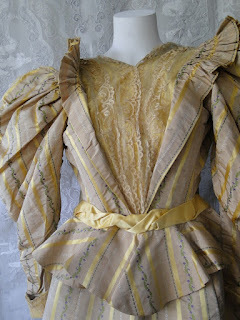 I want to wear something exactly like this with bright purple shoes and a purple velvet hat of ridiculousness.